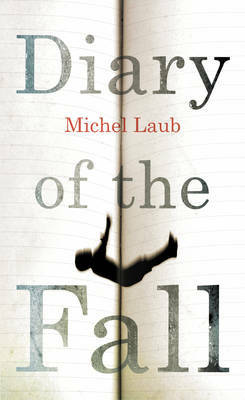 Our look at the nominees for the JQ Wingate Prize continues with Diary of the Fall by Michel Laub. 1. My grandfather didn’t like to talk about the past, which is not so very surprising given its nature: the fact that he was a Jew, had arrived in Brazil on one of those jam-packed ships, as one of the cattle for whom history appears to have ended when they were twenty, or thirty, or forty or whatever, and for whom all that’s left is a kind of memory that comes and goes and that can turn out to be an even worse prison than the one they were in. 2. In my grandfather’s notebooks, there is no mention of that journey at all. I don’t know where he boarded the ship, if he managed to get some sort of documentation before he left, if he had any money or at least an inkling of what awaited him in Brazil. I don’t know how long the crossing lasted, whether it was windy or calm, whether they were struck by a storm one night in the early hours, whether he even cared if the ship went down and he died in what would seem a highly ironic manner, in a dark whirlpool of ice and with no hope of being remembered by anyone except as a statistic – a fact that would sum up his entire biography, swallowing up any reference to the place where he had spent his childhood and the school where he studied and everything else that had happened in his life in the interval between being born and the day he had a number tattooed on his arm. 3. I don’t want to talk about it either. If there’s one thing the world doesn’t need it’s to hear my thoughts on the subject. It’s been dealt with in the cinema. It’s been dealt with in books. Eyewitnesses have already recounted the story detail by detail, and there are sixty years of reports and essays and analyses, generations of historians and philosophers and artists who devoted their lives to adding footnotes to all that material in an effort to refresh yet again the world’s views on the matter, the reflex reaction everyone has to the word Auschwitz, so not for a second would it occur to me to repeat those ideas if they were not, in some way, essential if I am to talk about my grandfather and, therefore, about my father and, therefore, about myself. 4. In the months prior to my thirteenth birthday I was studying to prepare for my bar mitzvah. Twice a week I went to the house of a rabbi. There were six or seven of us in the class, and we each took home with us a tape on which he had recorded extracts from the Torah sung by him. By the next class we were expected to know the whole thing by heart, and even today I can still sing that fifteen- or twenty-minute mantra without understanding a single word. 5. The rabbi lived on his salary from the synagogue and on contributions from the families who attended. His wife had died and he had no children. During class he drank tea with sweetener in it. Shortly after the class began, he would pick on one of the students, usually the one who hadn’t done his homework, sit down beside him, speak to him with his face almost pressed to his, and make him sing each line and syllable over and over, until the student got it wrong for the second or third time, then the rabbi would thump the table and shout and say that he wouldn’t bar-mitzvah any of us. 6. The rabbi had long fingernails and smelled of vinegar. He was the only rabbi in the city who gave those preparatory classes. After the class, we would often have to wait in the kitchen while he talked to our parents, telling them how indifferent, undisciplined, ignorant and aggressive we were, and after this speech he would always ask them for a little more money. It often happened, too, that one of the students, knowing the rabbi had diabetes and had already spent time in hospital, where, due to complications, he had almost ended up having one of his legs amputated, that this student would offer to make him another cup of tea, adding sugar this time instead of sweetener. Tells the story of three generations: a man examining the mistakes of his past, and his struggle for forgiveness; a father with Alzheimer's, for whom recording every memory has become an obsession; and a grandfather who survived Auschwitz, filling notebook after notebook with the false memories of someone desperate to forget.